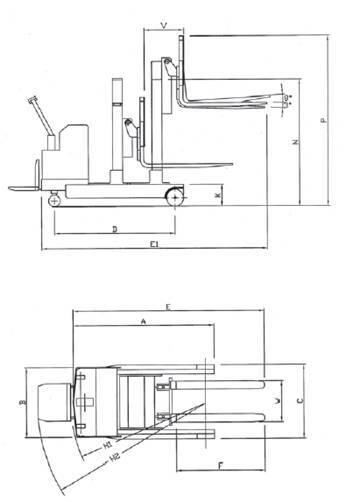 Tire Mold Machine /Iron Pipe Truck Machine SPECIAL MODEL(Load: 1 Ton / 1.5 Tons,2200LB~3300LB)CRT-10/15+SPECIAL MODEL(CRT-10/15) - Noveltek Industrial Manufacturing Inc.
●Turning radius 1600mm only, can be operated in 2.3 meter width aisle. 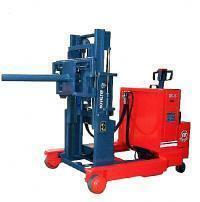 ●3 sets of hydraulic systems lifting/tilting/reaching. 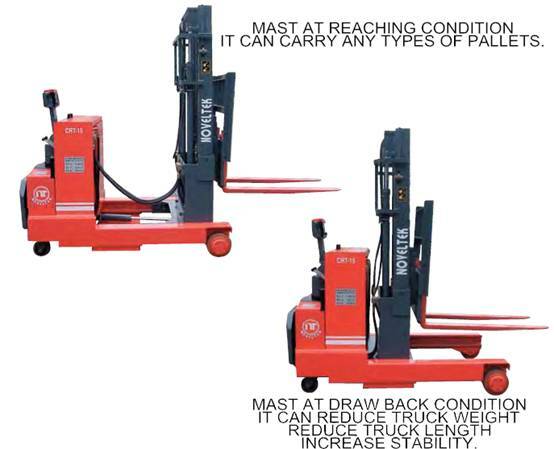 ●Controlled by steering arm, the operators do not need forklift truck driver's license. ●Use adjustable width forged forks,can handle any types of pallets. ●Lead-free pu baked enamel painting. ●Load wheel diameter is 212mm can be used for ramp, elevator...etc. ●Wide view mast can be easily see through. ●Very easy drive, easy handle direction. ●Shaft type forged forks are available as optional. Non-marking white rubber drive wheel, Vulcollan drive wheel,wide straddleversion...etc..